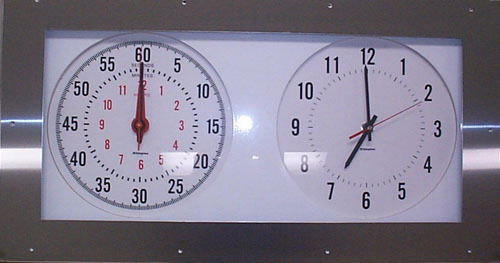 Ethernet based time synchronization is the alternative to a traditional master clock system. This kit consists of a 300mm dial analogue clock that is connected to the network and the Analogue 12 hour start/stop timer. This particular technology makes for easy installation with a range of Analogue/Digital clocks to accompany these devices in additional rooms.